Coaches who complete the process will become Certified Competition Coach. The coaches will be able to prepare a team to compete in regional and provincial competitions. They will be proficient at planning and executing safe and efficient practices. Note : the workshop must be paid BEFORE it occurs. If not, 25$ per participant will be added to the registration fees that have to be paid within 30 days after the workshop for it to be recognized and approved by Curling Québec. The course is offered on demand in any region of Quebec with a minimum of 8 participants. Information from Coach Canada about this module. Update since May 1st, 2017. Coaches must successfully complete the “Make Ethical Decisions” (MED) module of the course online in order to receive their certification in any NCCP program. This section is offered by Sports Quebec. Take the MED course offered by Sports Quebec (see the calendar here: http://www.sportsquebec.com/calendriers/PNCE/index.aspx ). The MED module belongs to ‘Partie A’ (the MDE is on the second day of that Partie A workshop). Click on the calendar and subcribe online. 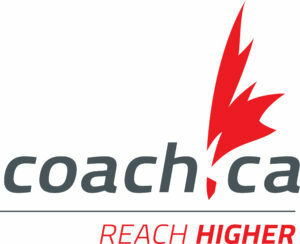 Then complete the evaluation online by clicking on the following link https://thelocker.coach.ca/OnlineLearning/5607817 , log in to the Locker using your NCCP # and password, then select “Make Ethical Decisions Online Evaluation – Competition – Introduction” from the column on the left-hand side of the page. A coach can attempt the exam as many times as required in order to successfully pass the evaluation. Take the test at the following link https://thelocker.coach.ca/OnlineLearning/5607817 log in to the Locker using your NCCP # and password, then select “Make Ethical Decisions Online Evaluation – Competition – Introduction” from the column on the left-hand side of the page. Without the MED training, coaches are given two chances to pass the exam with a mark of 75% or higher, after which if they have not been successful they must register for the MED course. At the beginning of this step, Curling Quebec will match each coach with an evaluator that will follow him/her throughout the process of certification. After completing the course and the MED module, the competition coach must create a practice plan (in writing) which will be sent to the examiner at least two weeks prior to the final evaluation. Some examples of practice plans are available on request. The evaluator will either accept the practice plan as is, or they will propose some corrections. The on-ice evaluation allows the evaluator to see coaches evolve on the curling ice with their team. Curling Quebec will coordinate all visits. Once the process is complete and the examiner has approved the coach’s certification, Curling Quebec must approve it and then send it to be approved by Curling Canada and the Canadian Coaches Federation. Once each party has approved the certification it will appear on the coach’s NCCP profile. The approval process can take a few days.